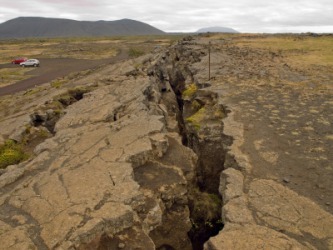 By definition a fault line is a break or fracture in the ground that occurs when the Earth’s tectonic plates move or shift and are areas where earthquakes are likely to occur. We all have internal fault lines, as well. These are places where we have tendencies or a leaning towards a negative behavior. They are places in our lives where the enemy and the world wedge their way in and pull us off course. They can become a gaping cavern in an instant like an earthquake or they can subtly get larger and larger over time. Do you know your fault lines? Do you know how to move past them? When my first son was born, I sat my husband down and asked that we commit to each other that we wouldn’t spank our children. I knew that if I made that commitment to him, I wouldn’t go against it. To be completely honest, I was afraid of me. I was afraid that if I allowed myself to spank I would unleash something within myself that I wouldn’t be able to control. I didn’t understand it and it terrified me. This was a fault line within me. One that I was aware of, and this commitment was God’s way of showing me a way out of the temptation. Years later He took the rage away, but in the meantime this helped me keep the fault line a crack and not a cavern. Fault lines don’t have to center around obvious areas like anger, rage, addiction etc. They can be so small they are unnoticeable at first. Sugar is a fault line I still struggle with daily. It was always there, but it wasn’t until I was facing 50 lbs. that needed to go that I realized the crack had become a cavern. We need to deal with our faults because that’s where the enemy hangs out. It’s what pulls us off course in the plan God has for us. I can honestly say God has healed me from rage. I no longer shake inside and feel like I’m going to do something drastic. Sugar, however, is still a battle. Most days it is one I’m winning because He does provide a way out. With new habits, I’d like to see 15 more go. On the days when sugar wins my self-confidence plummets. I feel less than and I’m distracted from the purposes of God in my life. On days I’m winning – I’m winning. Part of my winning comes from prayer and asking God to show me the source of the fault line-where it began. Then I acknowledge my part in its growth and ask for forgiveness from God and others where necessary (usually my husband and kids). I also tell the enemy to get lost and ask God to restore me to the person He created me to be. Sometimes God heals us dramatically as with the rage and sometimes its gradual like the sugar. The important thing is He will and wants to restore us. He will provide a way. Join me in restoring fault lines. Share your fault lines. Share how you are restoring your faults. What is working for you? What encourages you?